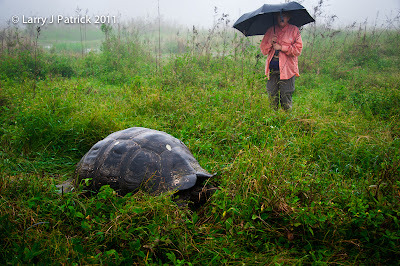 Last week one of my friends asked me why I did not include tortoises in my list of animals in the Galapagos Islands. Well, I guess because I have never gotten a good photograph of any tortoise. Like the last trip, all my tortoise photographs look more like big rocks in a field rather than extremely long-necked reptiles from a different era. All of the tortoises that I have seen in the Galapagos Islands are in the highlands of the islands. 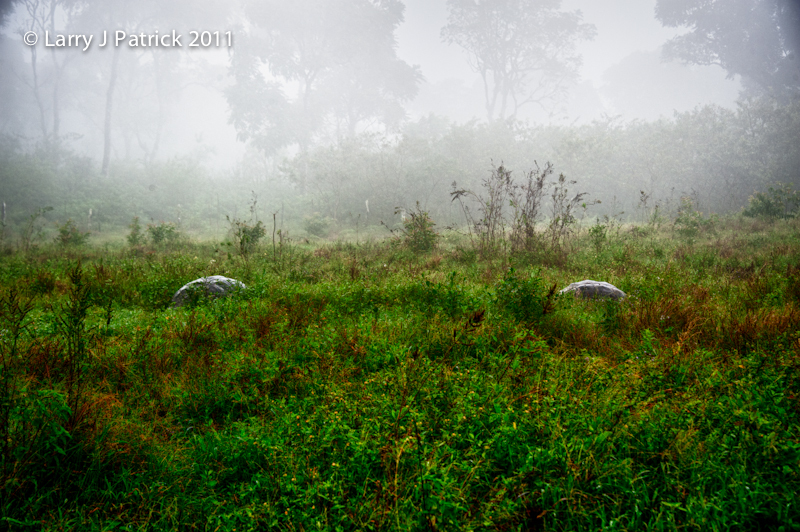 As a result, they are generally in tall grass with misty rain falling on them—not exactly the shot normally seen in the travel brochures. 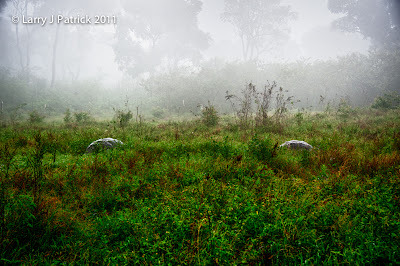 Here are my best photos of the tortoises and their environment. As a wildlife and landscape photographer I tend to fill the frame with wildlife shots. Sometimes it makes more impact stepping back and including the environment, as you have done here. I do like the landscape shot as well. Moody scenes like this can be difficult to convey to the viewer on screen as you have done here. Nice job with both types. I meant to note how the inclusion of another person in the second image gives a sense of scale or size of these animals. 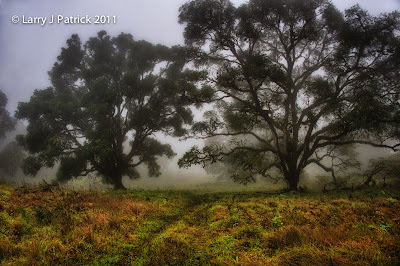 The misty weather adds a lot to each of these photos. Nice job. I really like the one with the two big trees. The contrast between the foreground and the background really makes the foreground pop.